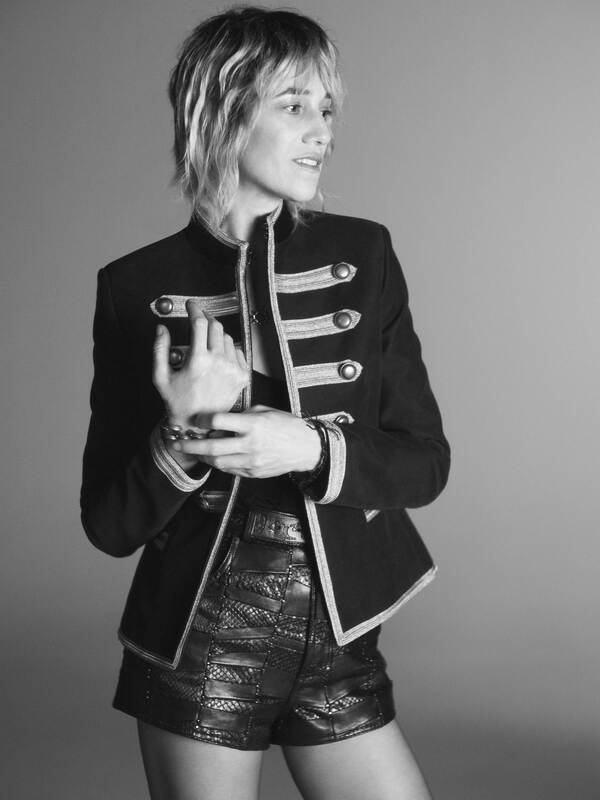 At the forefront of the new Saint Laurent Spring 19 campaign is French model/actress/all around style icon Charlotte Gainsbourg. Gainsbourg became the face of the brand a little over a year ago, and debuting her freshly bleached do, moves to Iggy Pop's The Passenger in full SS19 Saint Laurent. Shot by house favourite David Sims, the campaign also features familiar faces Amber Valetta and Rebecca Leigh Longedyke. The girls dance in YSL platforms and leopard print, in Vacarello's signature black and white aesthetic, reminiscent of this season's Travis Scott menswear campaign.